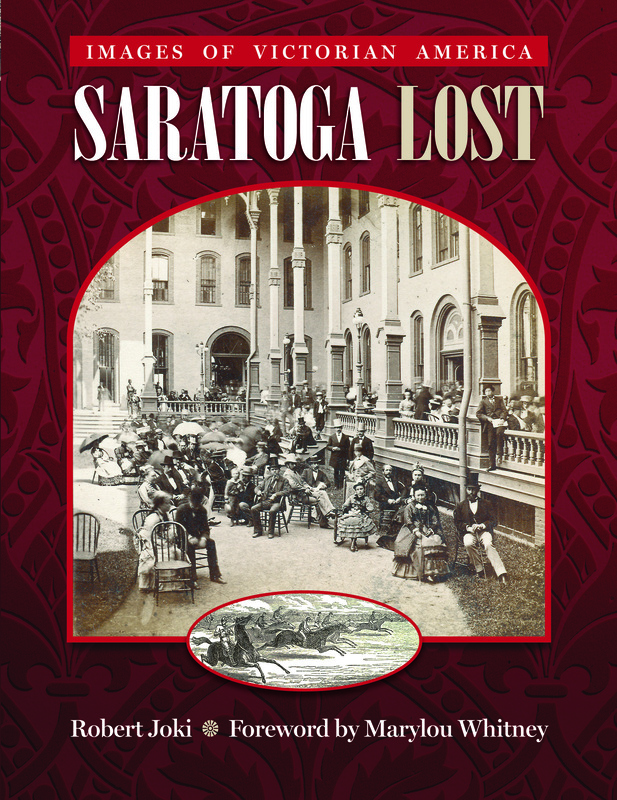 Over 300 period photographs and illustrations from the author’s extraordinary private collection guide the reader on a detailed tour of the splendors of the “lost city” of Victorian-era Saratoga Springs, New York, from 1860 to 1890. World-famous as “the Queen of Spas,” Saratoga Springs entered a golden age in the post-Civil War Victorian years and the world flocked to its doorstep every summer. The rich and famous rubbed elbows with a growing post-war middle class popularizing a new concept, the summer vacation. They came ostensibly to “take the waters” at the bubbling mineral springs, but what they really came for was to see and be seen on the grand piazzas of the magnificent, colossal hotels that lined Saratoga’s Broadway and to share in the limelight of glittering balls and fabulous parties. Saratoga’s fame was initially founded on its mineral springs, which were considered curative and medicinal as well as relaxing to bathe in. As the crowds increased year by year, Saratoga became notable for a variety of other attractions and entertainments, including the seeds of future fame in the form of horse racing and gambling. At the high-water mark of Victorian Saratoga Springs’s peak popularity, 1865-1895, the growing little village had just about something for everyone. 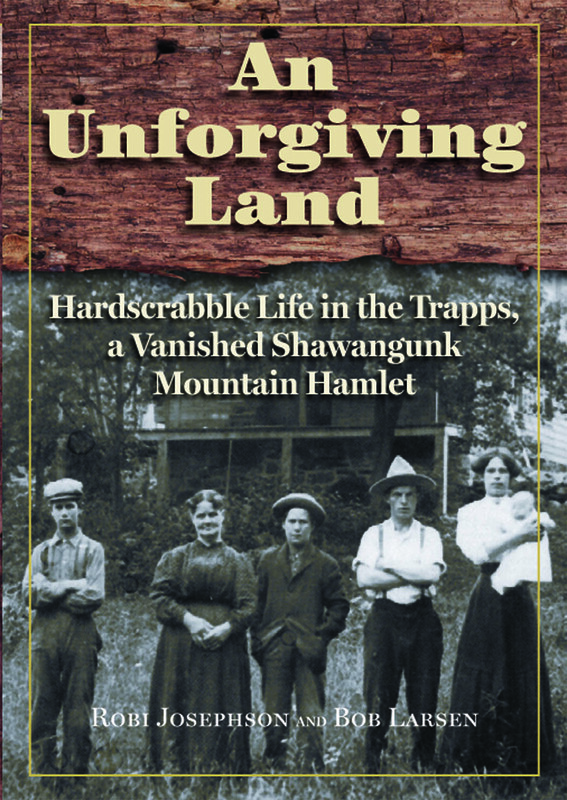 As you gaze at the old photographs in Saratoga Lost, what is perhaps most impressive is that all of this activity was occurring in what was essentially a small village. Though small in area and in year-round population, Saratoga Springs was densely populated during “the season.” Its three largest hotels alone could accommodate over 5,000 guests among them, and there were scores of smaller hotels and rooming houses catering to anywhere from a couple dozen to a couple of hundred patrons at a time. And during the peak summer season, July and August, every one of them was filled to capacity. Saratoga Springs adapted with the changing times and is still renowned today, especially for its performing arts center, its world-famous race tracks, and its many museums and rich cultural life, but the grace and opulence of America’s Victorian era faded with the dawn of the twentieth century. Almost all of the buildings and views in Saratoga Lost have long since disappeared in clouds of dust from the wrecker's ball or in spectacular, cataclysmic infernos. Though remnants of the Victorian era survive to this day in Saratoga, especially in residential areas unaffected by the pressures of commercial expansion, the village that was world-famous as the Queen of Spas and renowned for its grand hotels that loomed high above Broadway has vanished. Robert Joki first became an avid student of historic Saratoga Springs and a collector of its antiques and memorabilia in 1973. Though interested in all historical periods and aspects of Saratoga’s past, he became especially fascinated by the Civil War and post–Civil War Victorian era. As a collector he came to specialize in stereoviews—nineteenth-century three-dimensional photographs. Over more than a quarter century he amassed what may have been the largest private collection of original photographic prints of Saratoga Springs taken during the years 1860–1890. Mr. Joki passed away in 2010 surrounded by his loving family in his Victoria-era country house just outside the city of Saratoga Springs. His stereoview collection is housed at the Saratoga Springs Public Library for public viewing.